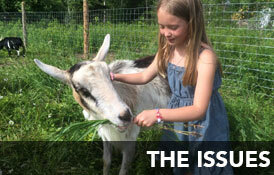 Thank you for considering a gift of stock to Peace Ridge Sanctuary! Making a gift of stock is an easy and tax deductible way to help support our work into the future. Provide the information below to your stock broker or financial advisor, and they can contact our stock broker to finalize the gift. Please let us know of your intention to donate your gift so we can be sure that everything is processed correctly and timely.